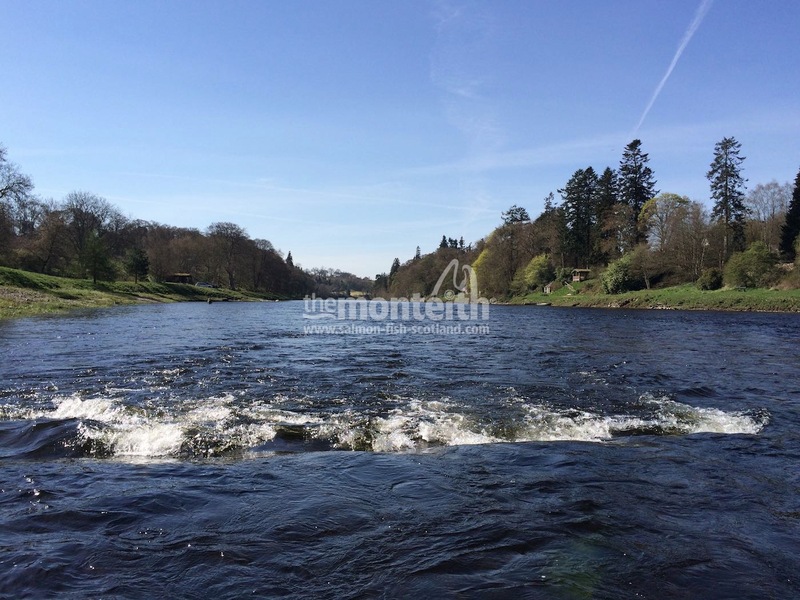 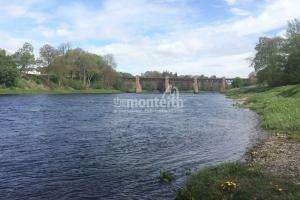 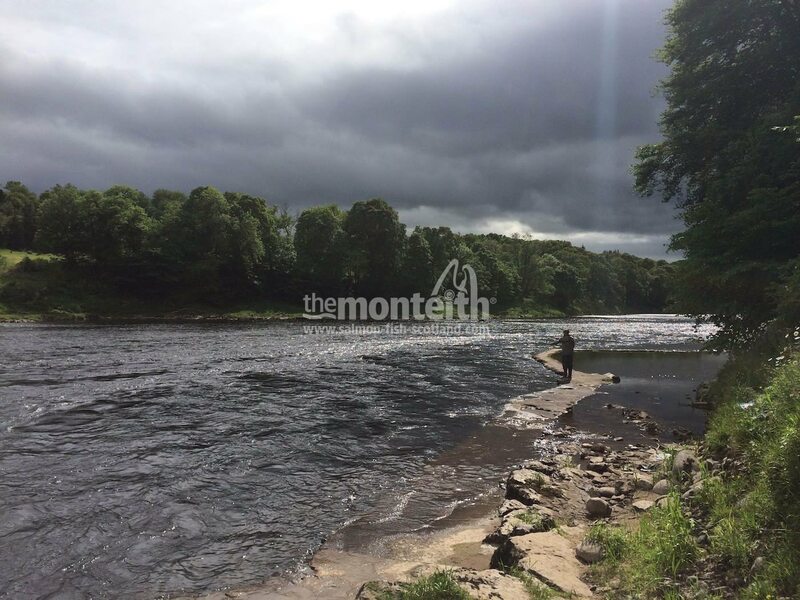 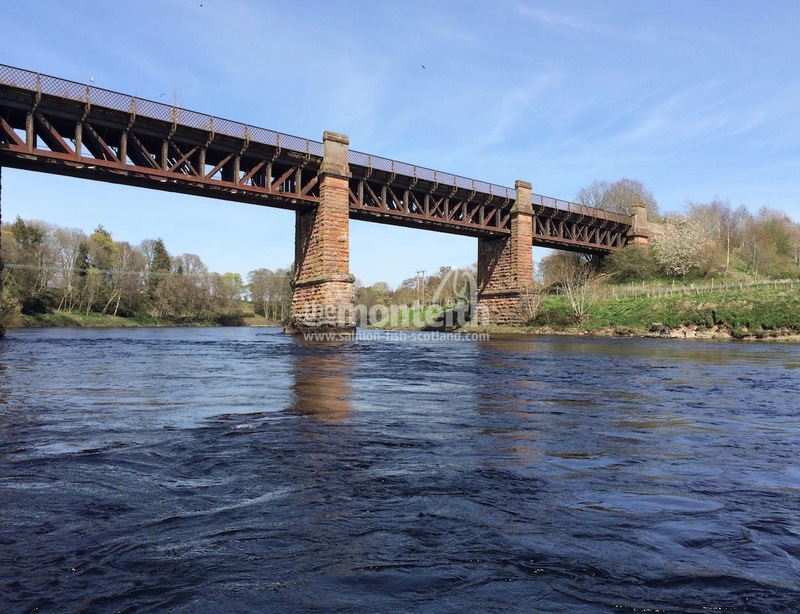 When It Comes To Thoughts Of Famous River Tay Salmon Fishing Venues There Are Very Few That Will Impact Greater Than The Renowned Ballathie Beat. 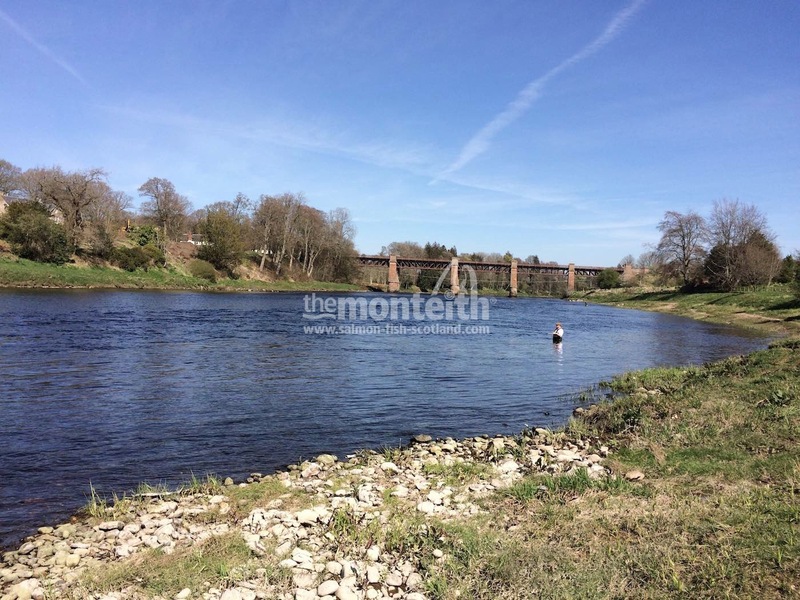 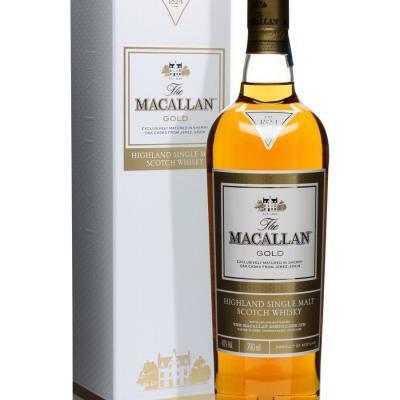 This famous Tay beat has so much going for it with it's history and legendary Tay ghillies and the capture of huge salmon that have been landed in its 'classic' holding water pools over the decades. 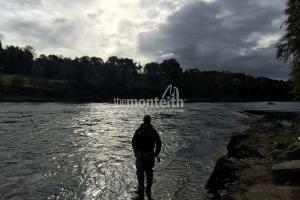 Even in recent years more that 100 salmon were caught on this water in one season that exceeded the 20lbs mark. 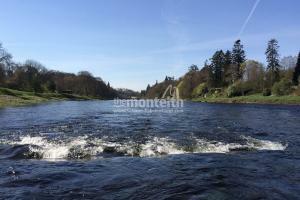 I was fortunate to meet & fish the Tay with the famous and late Colin Leslie who served on this stretch of the Tay throughout his life and who personally accounted for 5 salmon over 40 lbs and was involved in the capture of many similar Tay heavyweights for guests. 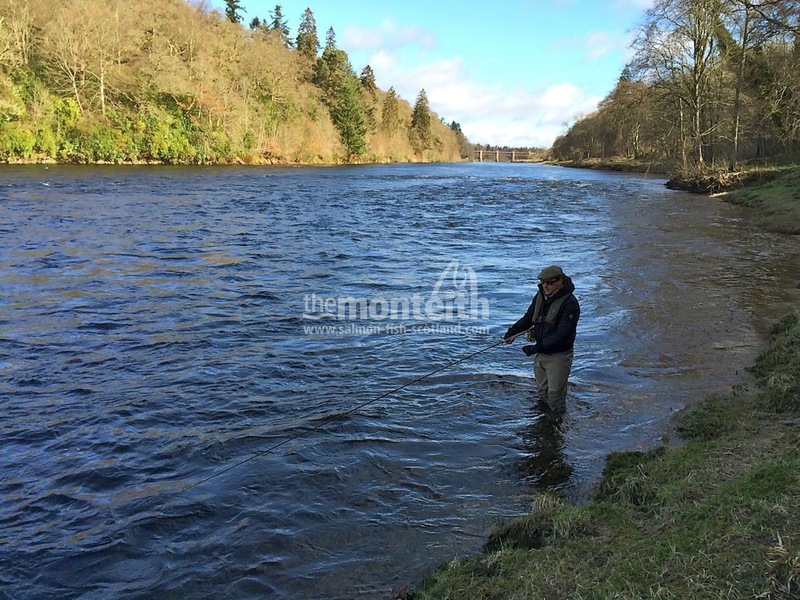 These days there's two highly professional Tay ghillies running the show who are also doing a top job in steering clients onto salmon. 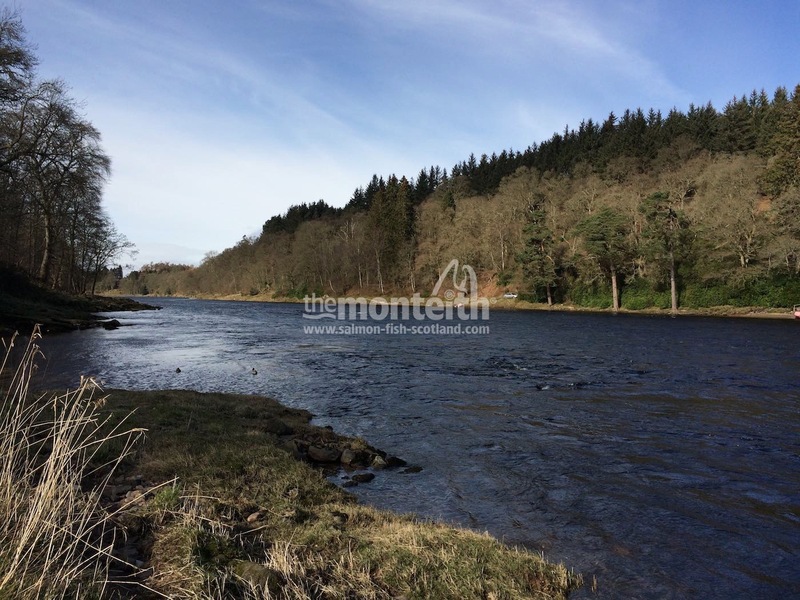 Garry McErlain & George McInnes are indeed two of the most knowledgeable and expert professional career ghillies on the entire Tay system. 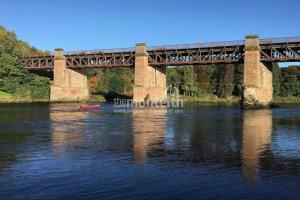 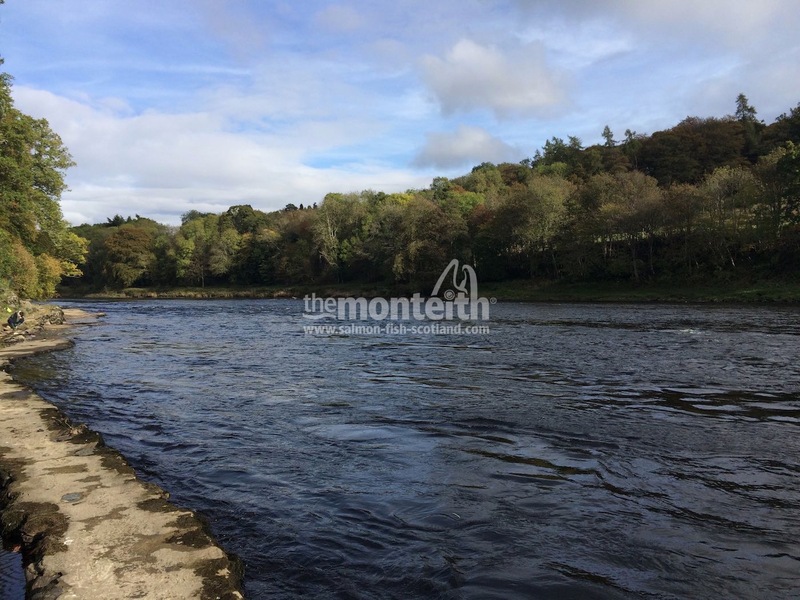 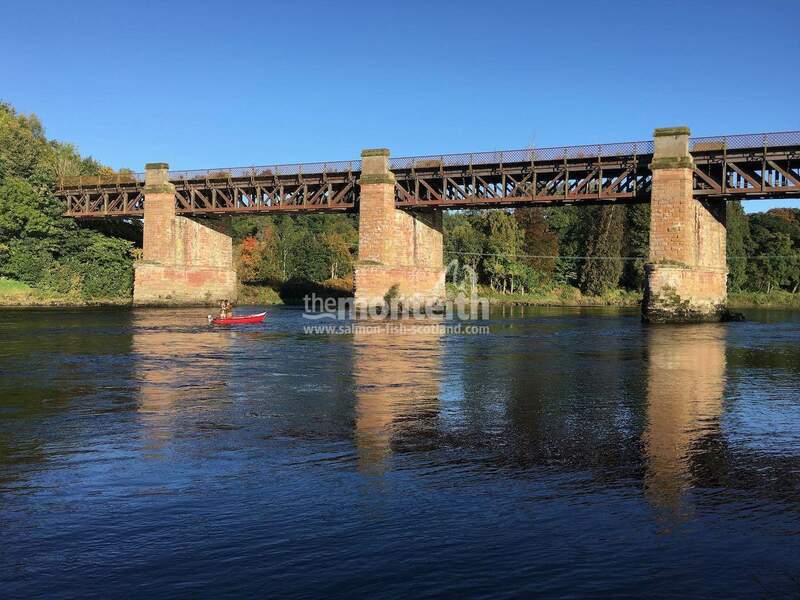 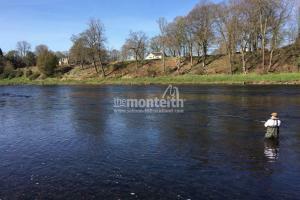 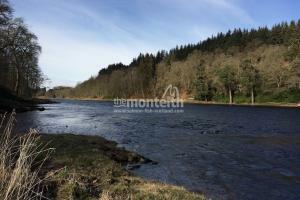 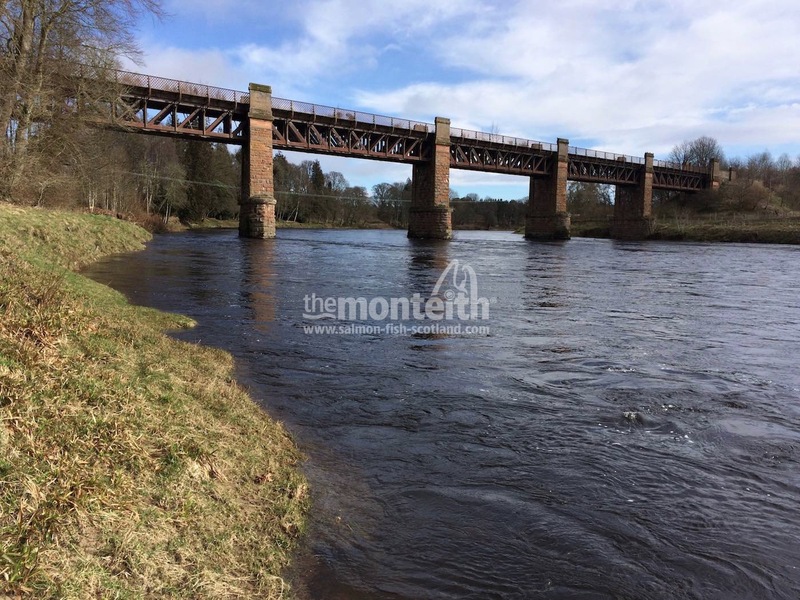 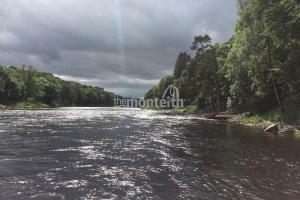 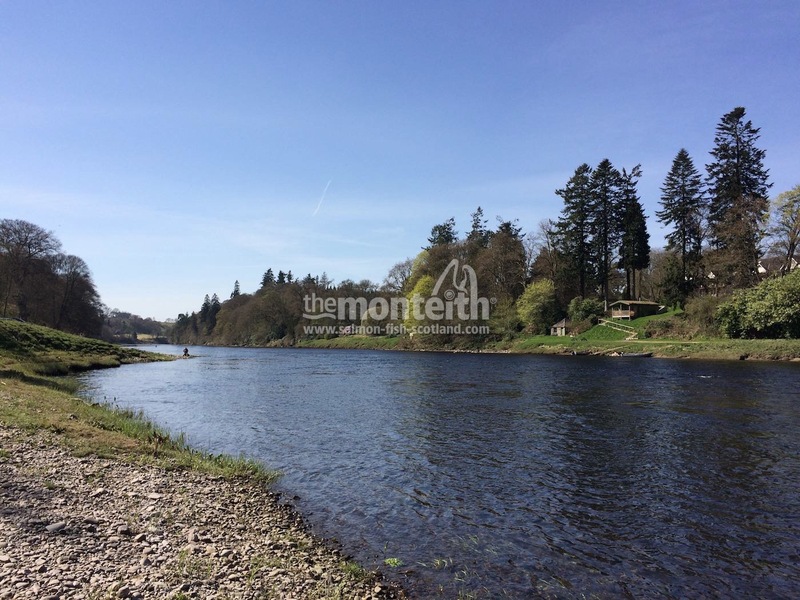 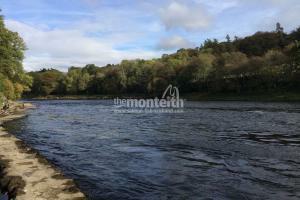 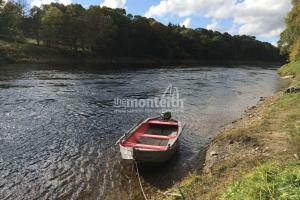 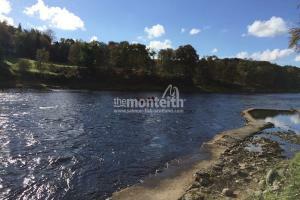 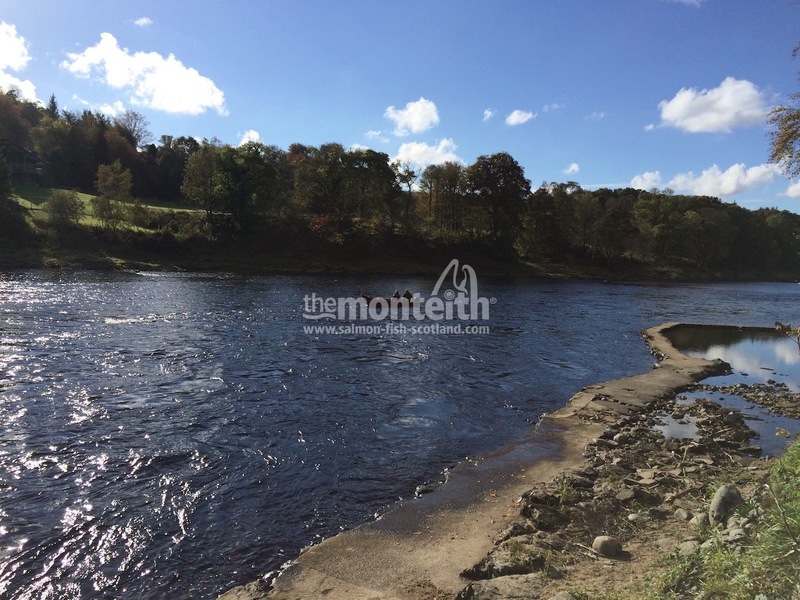 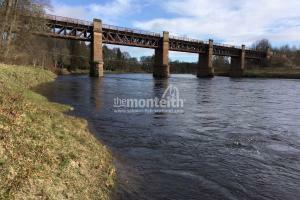 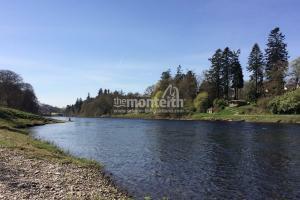 The Ballathie Beat has a superb combination of streamy fly fishing water, deep slower moving spinning water and areas that work well with the traditional River Tay boat approach. 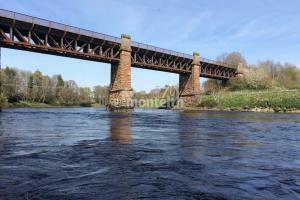 When this beat is on song there's few other beats on the Tay that can hold ground with Ballathie and big daily catches are very possible on this famous River Tay salmon beat and especially in the Autumn months when hundreds of salmon take refuge in it classic lower Tay rock shelved salmon pools. 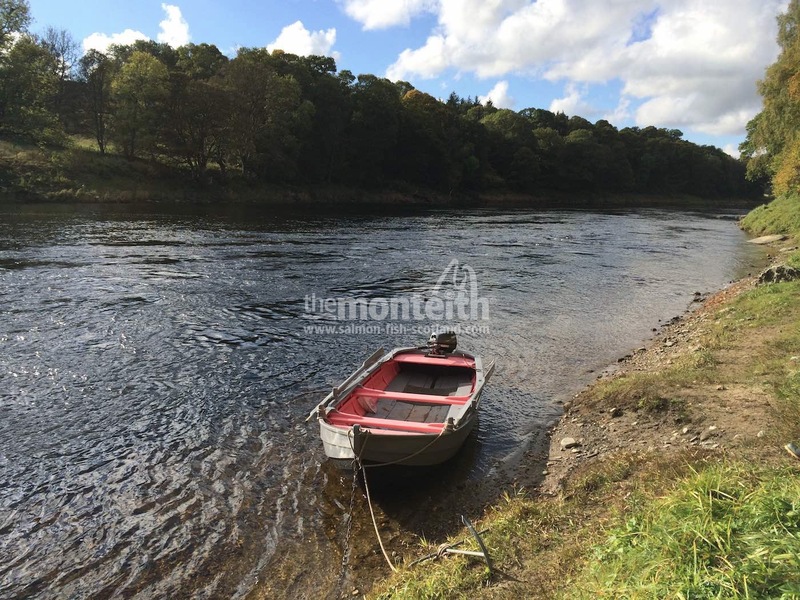 There has been a big investment in the shape of a luxury elevated fishing hut on Ballathie in recent years and Garry & George deploy the boats on a daily basis throughout the season for benefit of all guests in covering the more distant salmon lies. 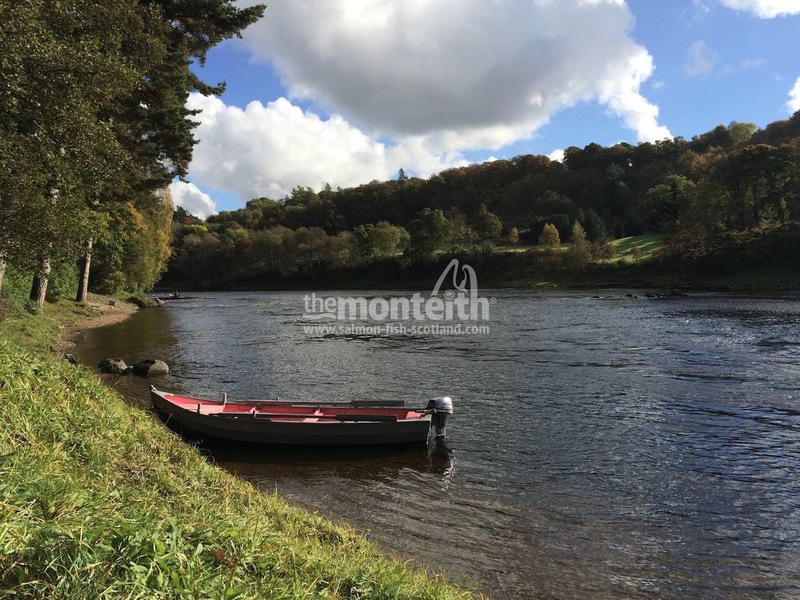 The beat is shared with equally famous Cargill and on Ballathie for season 2019 the Lower beat is fished on Monday, Wednesday & Friday and the Upper beat on Tuesday, Thursday & Saturday. 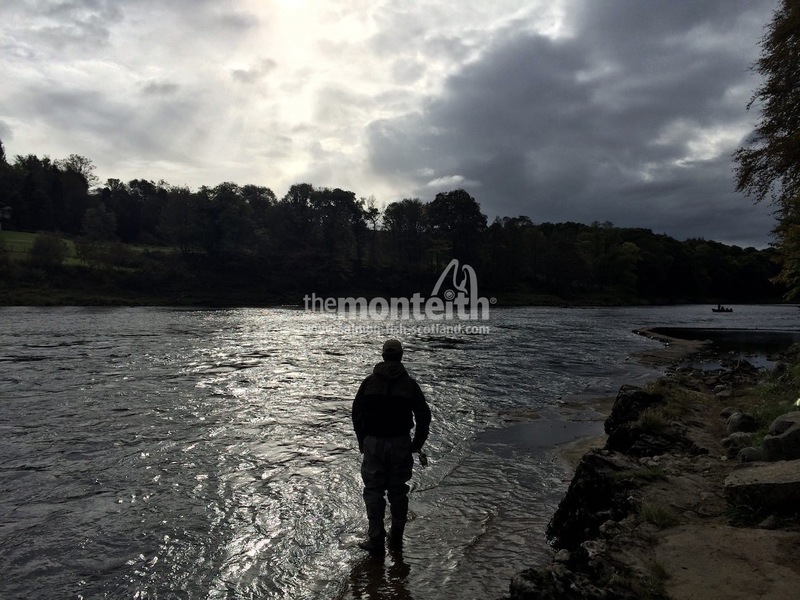 If you want to swim your fly or lure over big numbers of salmon then this Tay beat is without doubt one of the very finest. 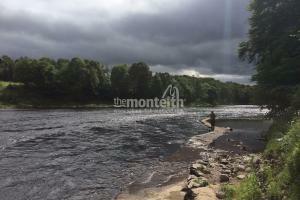 Salmon just love to hang out here and when that happens other hard running fish also stop en-route upstream. 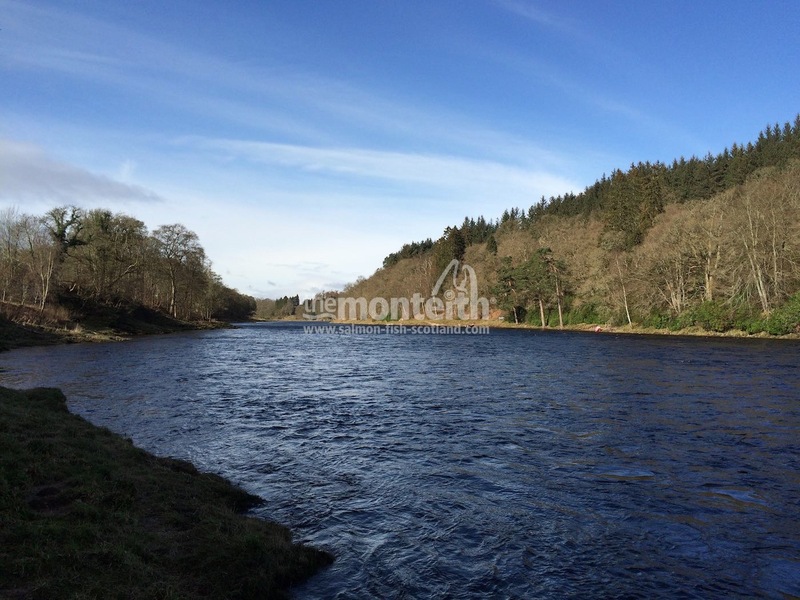 I recall 2 clients I took on this water a few years ago who were both very new to Scottish salmon fishing and were keen to learn. 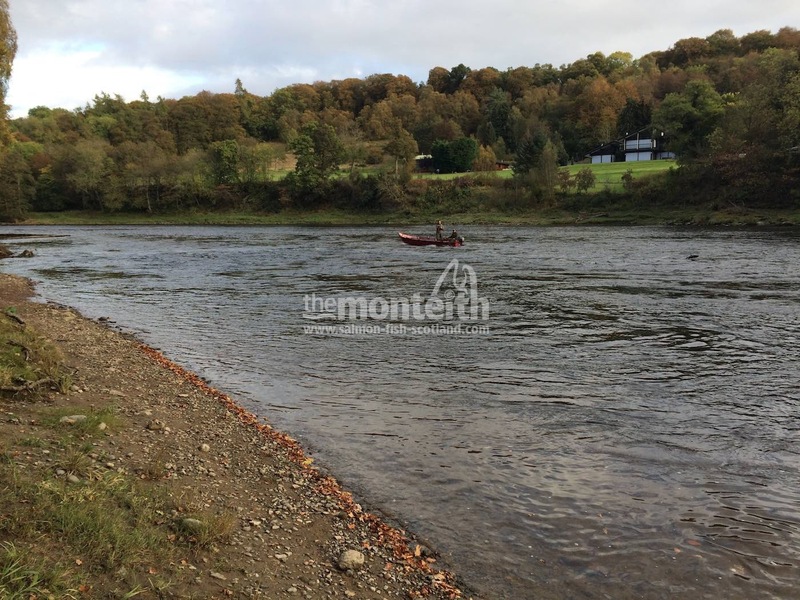 On the Monday morning one of them hooked and landed a 24lbs salmon with his very first cast in 'The Cradle' and from that moment onwards there was no real uninterrupted time for teaching casting or salmon fishing techniques as both clients could not help but hook salmon. 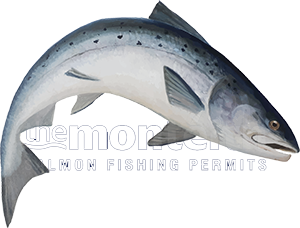 They finished their 3 days with 23 salmon and many of those fish were high teens or over the 20lbs mark. 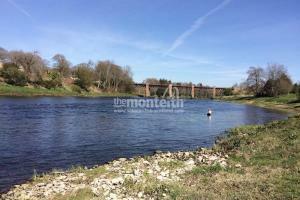 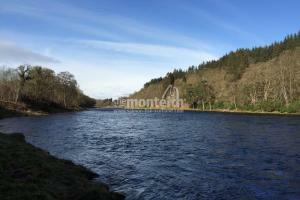 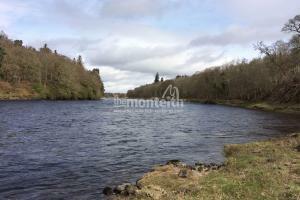 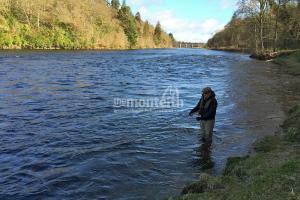 This type of fantastic experience is what this famous lower Tay salmon fishing water is renowned for. 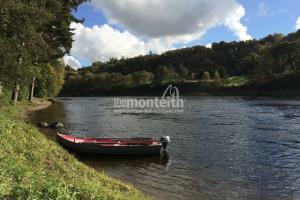 I'm sure fishing season 2019 will be yet another big success on this quality lower Tay beat with both new & returning Ballathie Beat salmon fishers. 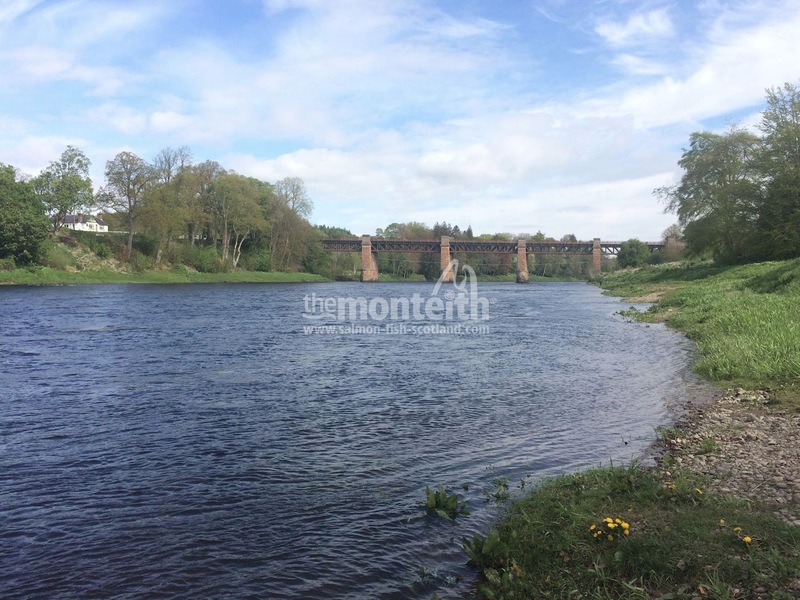 Follow the B9099 road leading north from Stanley and after a few hundred yards of leaving Stanley turn right at the sign for Kinclaven Blairgowrie & Ballathie Hotel. 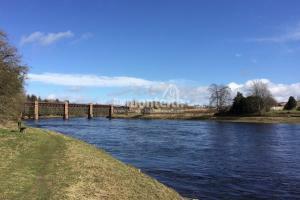 After traveling 2.5 miles turn right into the Ballathie House Hotel grounds. 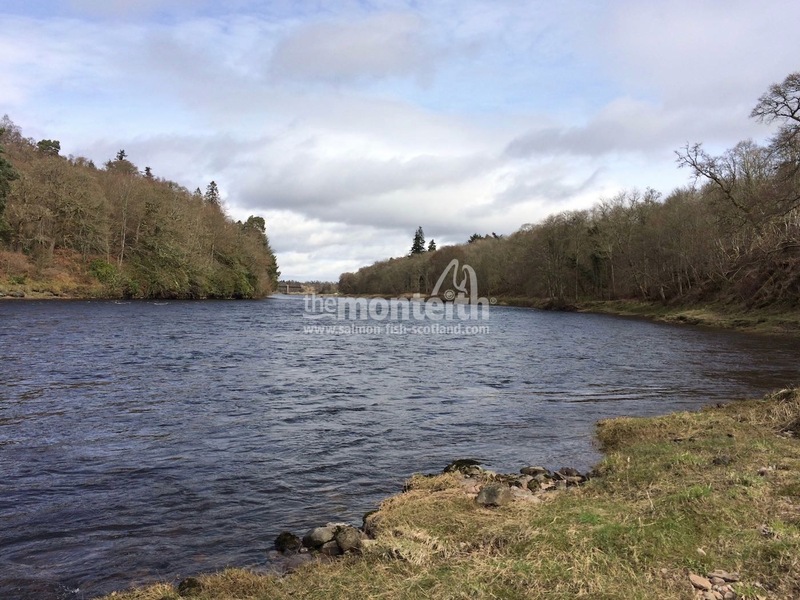 Follow the drive until you pass Ballathie House Hotel on your right hand side. 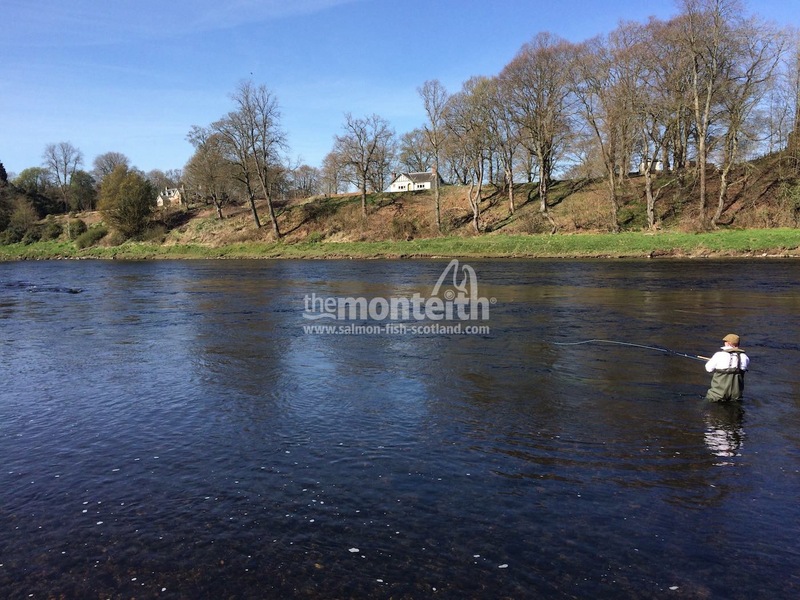 After passing the hotel and its adjoining annex building take the first right hand turn down towards the river and turn right along the riverbank to the new Ballathie fishing hut. 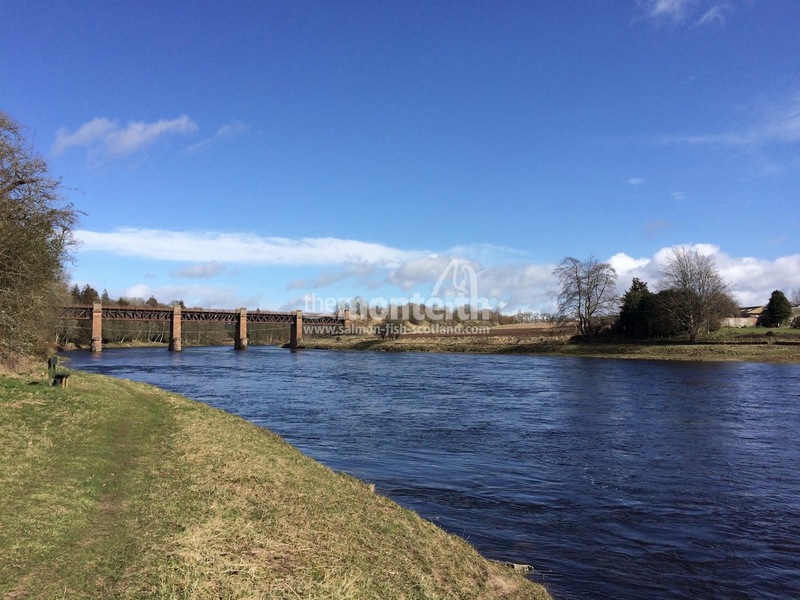 Follow the B9099 road leading north from Stanley and after a few hundred yards of leaving Stanley turn right at the sign for Kinclaven Blairgowrie & Ballathie Hotel. 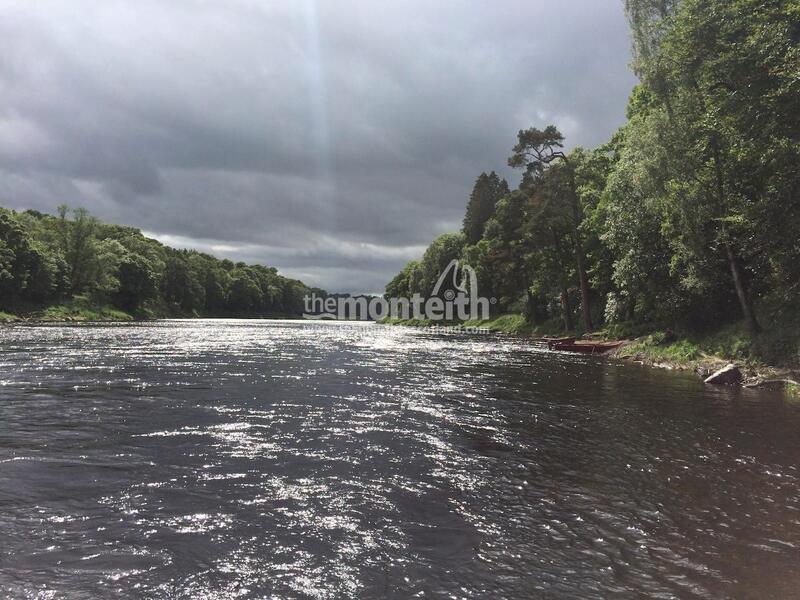 After traveling 2.5 miles turn right into the Ballathie House Hotel grounds. 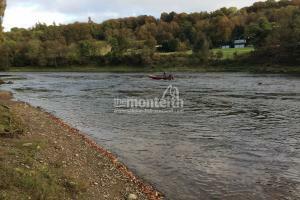 Follow the drive until you come to the first track leading off to the right (before the hotel) then take an immediate left turn on to a further track which will take you down to the elevated riverbank fishing hut.